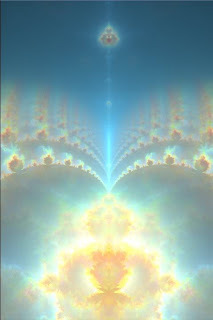 There are special moments when the universe within our own cosmos become perfectly still; in such moments, every movement ceases as the words of true praise, and of highest purity ascend through the infinite light columns of our heart, ascending to the Throne of God, the Most High. The mystical beings of Divine power, the angels that human language calls them, carry such words of purity to the Throne of the Most Majestic. In moments of such pure grace, through human beings - heart supplications are uttered, which through grace retain such a refined quality that it transcends the very words in which its expressed and goes beyond. 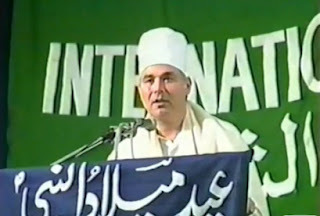 Ahmad Muhaiyaddeen of Bawa Muhaiyaddeen Fellowship, a direct student of Sufi Saint Bawa Muhaiyaddeen, recited one such Dua (Supplication) at International Mawlid un Nabi Conference in 1994 at UIC, Chicago. The supplication has the highest quality of Divine Gnosis in its words and from the heart from which it is conveyed. May you listen to this supplication via the rare video of the event which was sponsored by Naqshbandiya Foundation for Islamic Education. Click on the image below to go to the video page to attune to this supplication. Each of us may long that one such prayer rise from our own heart one day and be accepted. Ameen. Pause the video for a moment to let it load if your internet connection is slow. Ya Allah! You are our only Sustainer. Our hearts, the very marrow in our bones, the pores in our body, the vision of our eyes, the hearing of our ears, the taste of our mouths, the beating of our hearts, the pulsating of the blood in our bodies is sustained only by Your Power. We have no power to take the next breath, we have no power to sustain this very moment. You are not only the greatest power, you are the only Power. There is no existence without You. We are beyond poverty, We are nothingness. You are the only Existent within our existence. You are the Only Being within all beings and our hearts and our entire beings long to let go of all of the things that we have latched on to. All of the pride, all of the arrogance, all of the ways in which we have forgotten You and every bit of our being longs to surrender to You, to completely surrender all of the little idols of the mind that we've grabbed on to, all of the little idols of desires that we've grabbed on to. Every fiber in the universe longs for union with You, for You are Rahman, Rahim, You are Love Itself. You are Infinite Compassion. Not compassion bounded by the limitations of our mind. You are Infinite Compassion.You are Infinite Patience; and You are beyond all of those qualifications. You are unqualified in Your perfection. And in Your Mercy and in your Mercy You have given us guides, You have given us examples, You have given us the graces to show us that a human being can live as a true Human Being. 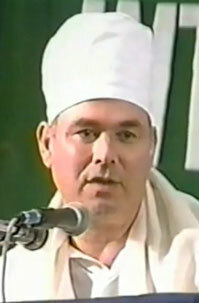 And You have given us the example of the insan kamil, of the perfected human being living in all of the Prophets and identified beyond what we can see, touch, feel, and hear in the Rasulullah Muhammad Mustafa Sallallahu wa alihi wasallam. So we ask you Allah to take us and make our conduct acceptable within the Shariat; to teach us, to teach us the distinctions between right and wrong, between permissible and impermissible. To guide us so that each moment in our lives becomes a Remembrance of You and our prayer be continual. We ask You to takes us to the understanding of the Tariqat so that the body of faith and purity can grow within us, that our imaan might become clear and perfected, and we ask You to take us to the Station of Haqiqat, so that our communion and our unity with You will be irresistible, so that everywhere we look we will remember You that you are the only One sustaining our vision, our thoughts, out life. And we ask You to strip away all the veils that separate us and take us into the Ma'rifat, Insha'Allah some might become Sufis. Allah our hearts, our souls, our beings long for Union with You through your Divine Qualities, and in that we can truly say that we are those who are following in the footsteps of those whose guidance is pure. All praises are to you Allah! And we thank You in the silent depths of our hearts for the guidance that you have given us through your Rasulullah. Alhamulillah! Alhamulillah! Allah please accept the duas that are unstated, the duas that are so pure that words can not even say them, the duas of pure Love - give us that dua of Pure Love so that our lives might becomes lives of prayer and supplication. I was so touched by this supplication that I have been listening and watching as this prayer is said via the video and the audio file (download the mp3 version) numerous times and what came is that this heart supplication of Ahmad Muhaiyaddeen, may Allah bless his life and work, is a beautiful gnostic commentary of the Mother Supplication, Surah al Fatiha, the Opener of Heart and the Key to Gnosis. The Ocean of meaning hidden inside the verse in al Fatiha: Alhamdulillahir Rabbil Aalamin is commented upon the first part of Ahmad Muhaiyaddeen's dua. Specially the first part concentrate on the true meaning of the Divine Name and Quality, ar Rabb, The Sole Sustainer, The Cherisher and the Matrix upon which the whole of creation exists. The middle part of the supplication is like a commentary of the verse of al Fatiha: ar Rahmanir Rahim. Two quintessential quality of the Divine that conveys the Name and Quality: Infinite Compassion beyond any qualification and more than that, Love Itself. Then comes the part that comments on the oceanic meaning concealed within verse: Ihdina alssirata almustaqeem. Sirat allazeena an'Aamta Aalayhim (show us the guided way, the way of those on whom Thou hast bestowed Thy Grace). The way which is exemplified by the friends of Allah, the guides of humanity across ages. May we attune to this heart supplication and be graced with the wisdom and guidance that flows through it.